The U.S. Supreme Court took a pass on setting limits on extreme partisan gerrymandering on Monday, saying the plaintiffs in the case didn’t have standing to challenge Wisconsin’s statewide assembly map. The decisioncame in a case called Gill v. Whitford, which advocates had hoped would allow the court to clarify if partisan gerrymandering could be so egregious that it violated the U.S. Constitution. The court has never said partisan gerrymandering is unconstitutional, leaving lawmakers from both political parties free to draw lines to their advantage. Even though the court said the 12 plaintiffs couldn’t challenge the entire statewide assembly map, it sent the case back to a lower court to evaluate their claims of standing to bring forward a gerrymandering case for their district. The decision to dismiss the case for lack of standing was unanimous. The decision to send the case back to the lower court for further consideration was 7-2, with Justices Clarence Thomas and Neil Gorsuch not joining. The court’s decision establishes a new legal framework for challenging partisan gerrymandering. Plaintiffs can’t simply challenge a statewide map, but they can challenge the boundaries of their own districts if they can show they have suffered a specific harm. Justice Elena Kagan wrote a concurring opinion joined by Justices Ruth Bader Ginsburg, Stephen Breyer and Sonia Sotomayor. That opinion offered a roadmap for how a partisan gerrymandering claim might successfully proceed in a lower court, and said plaintiffs could show they had suffered specific harm by offering an alternative electoral map that did not dilute their votes as much. The claims from voters in a partisan gerrymandering case must be district-specific, Kagan wrote, but courts can still step in to strike down a statewide map. Kagan also wrote that a political party or other group might be able to bring a statewide challenge to a partisan gerrymander on the theory that it violated their First Amendment right to freedom of association. The challengers wouldn’t need to show harm in specific districts because such a decision wouldn’t necessarily be district-specific, she wrote. But she said the challengers in the Wisconsin case had failed to advance that claim. Gill v. Whitford, which pertains to partisan redistricting, was one of the most closely watched Supreme Court cases of this term. The case involved a challenge to Wisconsin’s state assembly map. Republicans controlled the redistricting process in Wisconsin and worked in secret to draw a map to cement GOP control over the chamber. Their plan worked.They won 60 of the chamber’s 99 seats in 2012, even though then-President Barack Obama had won the state and Republicans only got 47 percent of the vote. The GOP won 57 percent of the assembly vote in 2014 and increased its majority in the assembly to 63 seats. In 2016, the party’s share of the assembly vote dropped to 53 percent, but Republicans picked up an additional seat in the assembly. The challengers in the Wisconsin case said the state assembly map was a partisan gerrymander that treated Democrats and Republicans differently, thus violating their rights guaranteed by the First and 14th amendments. They said the election results over three federal elections offered clear evidence that Republicans had drawn a map making it nearly impossible to take control of the chamber. But Wisconsin lawyers said lawmakers hadn’t done anything unconstitutional by drawing maps to their advantage. They noted that the Constitution gives state lawmakers power over redistricting, a sign that the drafters of the document anticipated partisanship to play a role in the process. Amy Hasenberg, a spokeswoman for Wisconsin Gov. Scott Walker (R), said the decision was a victory for the state. “The Supreme Court ruled unanimously in favor of the State of Wisconsin. This allows the Governor and Legislature to continue focusing on issues that move Wisconsin forward,” she said in a statement. But Paul Smith, a lawyer at Campaign Legal Center who argued the case on behalf of the Wisconsin voters at the Supreme Court, said the plaintiffs would continue to make their case in the lower court and may add plaintiffs to show harm in specific districts. Richard Pildes, a law professor at New York University, said in an email that the court’s decision would make partisan gerrymandering claims more difficult to challenge. William Whitford, the law professor who was the lead plaintiff in the case, expressed frustration on a conference call that the case would go on even longer. He noted the case was originally filed in 2015 and that it was crucial for new maps to be in place before the 2020 election. The state lawmakers elected in 2020 will draw the state’s congressional map for the next decade. Redistricting is usually done once every 10 years, so an effective gerrymander can have profound political consequences for the rest of the decade. Many believe advances in technology and data analysis will make partisan gerrymandering during the next round of redistricting, in 2021, even more severe. Wisconsin Republicans weren’t alone in gerrymandering. During the 2010 midterm elections, Republicans targeted state races in which they had a chance to flip control of state chambers and control the redistricting process. That effort succeeded and Republicans ruthlessly gerrymandered seats to their advantage. In North Carolina, the Republican lawmakers overseeing the redistricting process talked openly about how much of an advantage their map would give Republicans. In a separate decision on Monday, the Supreme Court also declined to strike down a single congressional district in Maryland that was gerrymandered to benefit Democrats. 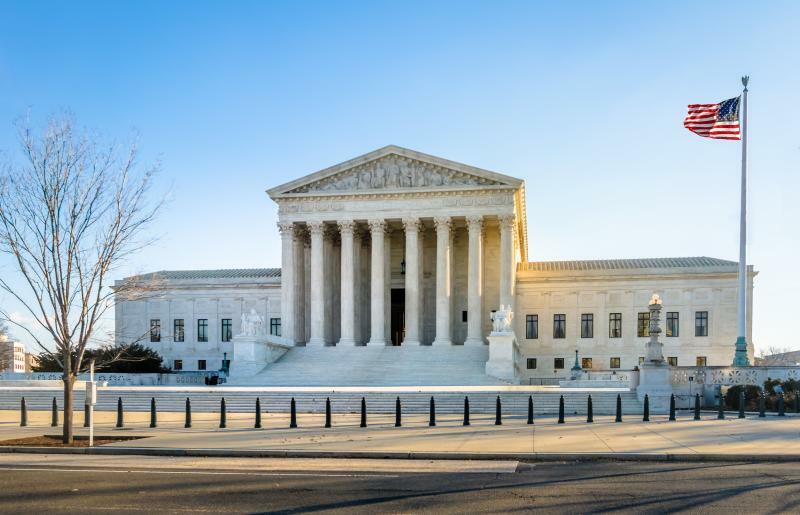 A lower court had declined to issue a preliminary injunction blocking the map in 2017, and the Supreme Court said Monday that it would not overrule that decision. There is still a forthcoming trial in the Maryland case. 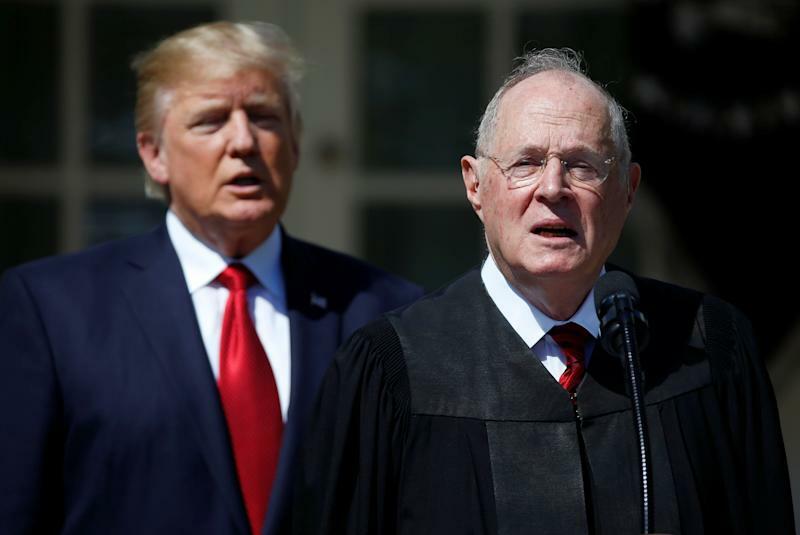 Supreme Court Justice Anthony Kennedy (right) with President Donald Trump at the swearing-in ceremony for Justice Neil Gorsuch. Winning over Kennedy was seen as a crucial part of winning the case of Gill v. Whitford. The challengers in the Wisconsin case pointed to a 2004 case called Vieth v. Jubelirer, in which the Supreme Court declined to strike down Pennsylvania’s congressional map as an unconstitutional gerrymander. Four justices in the majority wrote that it was impossible to determine when a partisan gerrymander violated the Constitution. Justice Anthony Kennedy, however, wrote separately, saying that such a standard might exist. The challengers in Gill took up Kennedy’s invitation. They offered a range of standards they hoped he might like in hopes of earning his vote, which was seen as crucial in winning the case. Many of those proposed tests relied on mathematical calculations to help the justices assess how firmly a map cemented one party’s power. One of the tests that got much attention in the case was called the “efficiency gap.” It offers a formula for calculating how many votes each party wastes in a given election in an attempt to quantify the severeness of a gerrymander. The party in power is extremely likely to maintain its majority when the efficiency gap is greater than 7 percent, experts say. During oral argument in October, Roberts was skeptical of the efficiency gap and other standards, labeling them “sociological gobbledygook.” He worried that getting involved in partisan gerrymandering would worsen the court’s standing in the public’s eye because the average American would think the justices were favoring one party over the other. The standards the challengers were offering “doesn’t sound like language in the Constitution,” Roberts said.